Gone are the days of a “one size fits all” approach in wellness programs. Companies have realized that people are no longer interested in general wellness data, but want their own personalized approach when it comes to improving their lifestyle, and there is no shortage of corporate wellness programs to choose from! It seems as though these wellness programs have the right idea, as our lifestyles are taking a major toll on our overall health, with financial implications as well. A 2012 report by the Robert Wood Johnson Foundation found that at the current rate, the number of new cases of type 2 diabetes, coronary heart disease and stroke could increase tenfold between 2010 and 2020- and also double again by 2030. The most impactful strategy to take is implementing a personalized corporate wellness program, specifically tailored to high-risk employees, in the hopes of improving health and reducing the risk of developing chronic illnesses. Here are just a few reasons why it’s important to adapt a personalized coaching program for wellness and healthy living. Personal coaching helps to keep you accountable for your actions. It’s likely that the employees that use these wellness programs are busy people, and change can become difficult – imagine being asked to overhaul your diet while working 40+ hours a week. By having a personalized program or coach to assist in your wellness goals, it provides easy to follow steps to avoid slipping up and increases your success rate. This approach will also provide you with the correct information about your health goals and body to make informed decisions on a daily basis. Your coach will take the time to ensure that you understand your program and how it may differ from a friend or colleagues, based on your family history, lifestyle, habits, preferences, socioeconomic status, location….everything. Coaches will assist you in taking the right steps to live a healthier lifestyle. We all know that while someone can tell you that you have high cholesterol, it’s a whole other thing to actually do anything about it! Having a coach will motivate and guide you to take the action you need to improve your overall wellbeing. To change a person’s lifestyle and wellbeing, data alone is often not enough. Changing a person’s behaviour can be difficult, especially when they aren’t in a supportive environment, but with a skilled coach to support, motivate and educate, it provides a better base for change. Ideally, the most successful workplace wellness program is the one that employees want to stick to. This requires creating a plan that is tailored to their specific needs and that incorporates a wellness coach into the mix to ensure success. Want to learn more about how to easily implement a personalized, and scalable, program for your employees? Contact engage@myoptimity.com to get some strategies and best practices you can use in your organization. 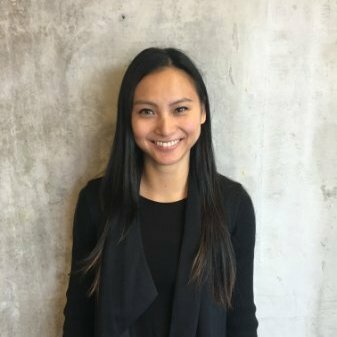 Trista Chan is a Wellness Strategy Advisor at Optimity. She leverages her education in nutrition and experience in corpoate health to guide organizations in building healthy, engaged employees. Her “me-time” activities include yoga, reading health blogs, cooking….did she mention she likes wellness? Her passion for all things health-related shines through in both her work and personal life.